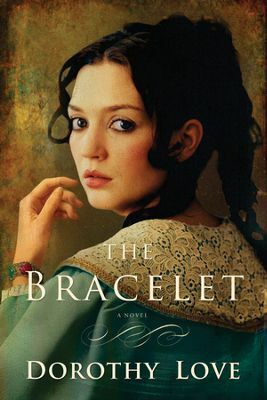 The Bracelet is a well-written historical romance by author Dorothy Love. This particular title is more mystery than romance, but there is just enough of a love story to keep me interested. This particular story is special in that it is based on actual historical events. It left me wanting to brush up on my history of Savannah, Georgia and anxious to read more. In short, The Bracelet is about a lovely southern belle, Celia, who welcomes her intended home after he has been away for an extended amount of time. As excited as she is to see him, she is equally troubled by the appearance of a newspaper man who is after the real story of the tragedy that befell her family years ago. Celia is unsure of the truth herself and begins to investigate on her own. I truly loved the history tied to this story. Author Dorothy Love has done a great job recreating an era long gone. I would consider her both historian and artist. I am anxious to visit Savannah again, to walk the lovely streets, and experience the history around every corner. Love hinted in her closing notes of meeting Celia again in an upcoming novel, and I am very pleased to hear it! I was given a complimentary copy of this book in exchange by the publisher and BookLookBloggers in exchange for an honest review. All opinions are my own and I have not been compensated other than the joy of reading a good book.